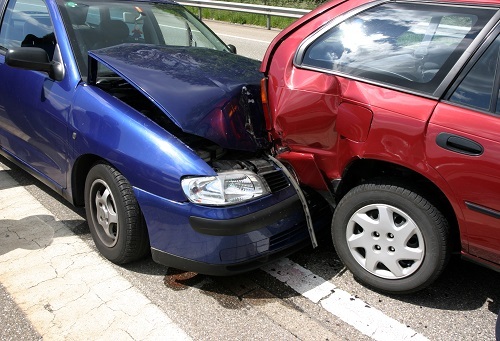 Rear-end crashes are the most common type of car accidents. They happen every day and usually end up with a minor injury or bruising. However, if the rear end vehicle traveled at a high speed, the injuries sustained could be severe. This type of accident occurs when a driver strikes another vehicle from behind, in the same lane of travel. When it comes to proving liability, rear-end collisions are usually very straightforward; in most of the cases, the one person who hit the other vehicle from behind is usually the one responsible for causing the accident. However, there are situations where the driver in front hit the brakes by accident and caused the collision to happen. Here is how fault is established in most rear-end collision in San Diego. The first thing that the attorneys always try to do is determine liability. As said above, the person who hit the other vehicle from behind is the responsible party. In case they deny guilt for whatever reason, a further investigation will be done to discover how the accident came to be and who caused it. This is where attorneys step in. If you don’t have one and were a victim of a rear-end accident, you should contact the best Car Accident Attorneys in San Diego and seek their representation. You are going to need an experienced attorney helping you with the investigation. Was There Enough Following Distance? The next thing that is taken into consideration (if the initial guilt was denied) is the following distance of the rear car. Your attorney will try and find out at what distance did the car follow you, and at what speed were they driving for most of the time. If it turns out that the car behind you was speeding at any point or that they did not provide enough distance between you and them, they will be held responsible for the accident and you will be able to seek a fair settlement from their insurance company. Either way, your safest bet is to speak with San Diego Personal Injury Attorneys and listen to their advice. They want what is best for you, which is why they will help you secure your settlement in a timely manner. I was Hit by an Uninsured Driver… What is my next Step?